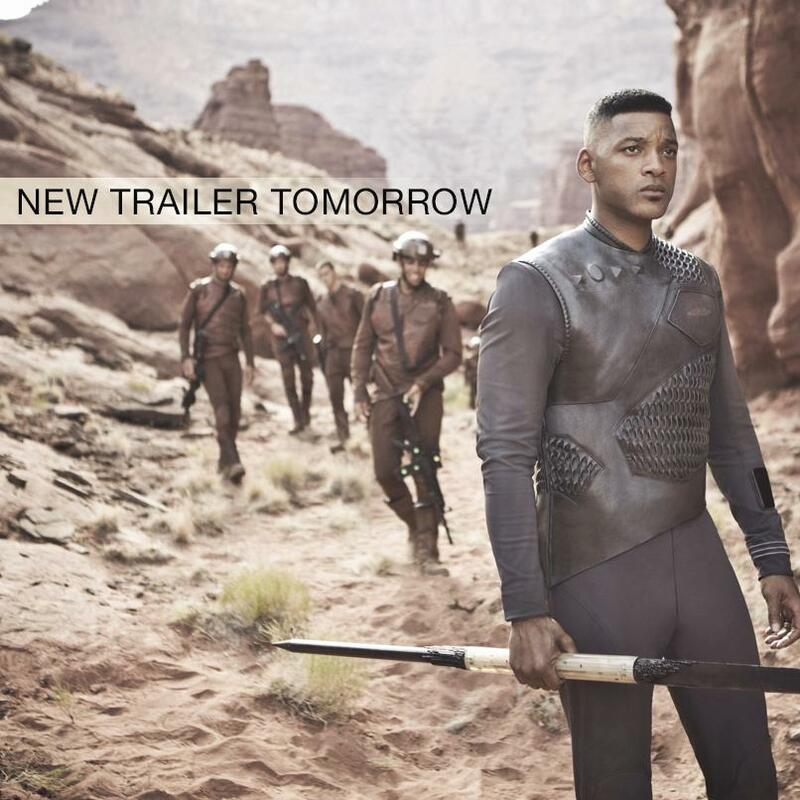 The movie After Earth: trailer, clips, photos, soundtrack, news and much more! Is Jaden Smith’s character so young and naive that he feels like he has to defend those little birds? The film is directed by M. Night Shyamalan (who helmed The Sixth Sense, Unbreakable, The Last Airbender, Signs, and The Happening). Release date: May 31, 2013. 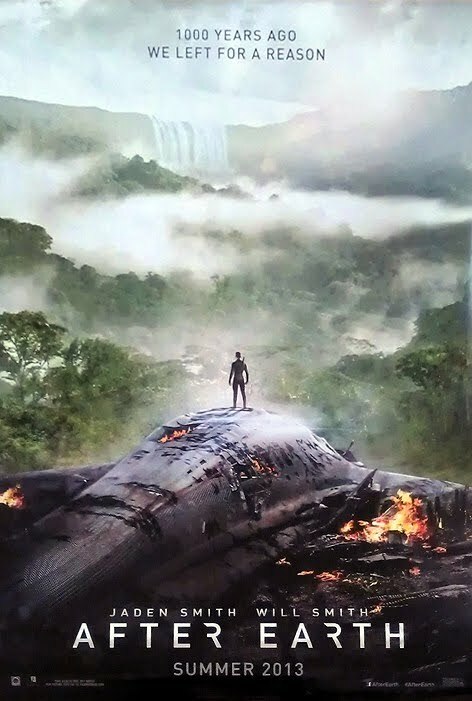 “A crash landing leaves Kitai Raige and his father Cypher stranded on Earth, 1,000 years after events forced humanity’s escape. With Cypher injured, Kitai must embark on a perilous journey to signal for help. I guess those nasty monkeys think they’re the legitimate heirs of Earth and don’t want any human around… Well, never mind, let’s just use a good old machine gun to get rid of those simian monsters! Do you know why mankind left Earth? The poster looks rather ugly and cheap! How come they don’t release something better? It’s not like they they’re on a shoe-string budget… Did they spend all the cash on the Smith family? Not enough money to hire a real poster artist? The film is directed by M. Night Shyamalan based on a script he co-wrote with Gary Whitta. 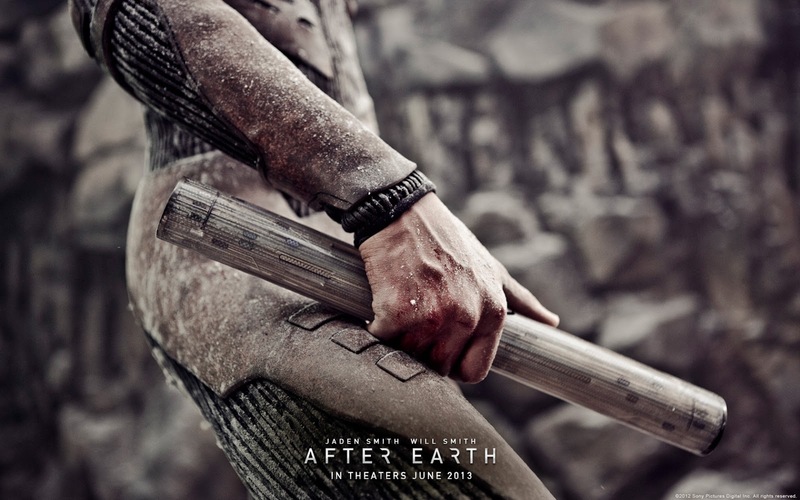 The release date of After Earth is set for June 7, 2013. 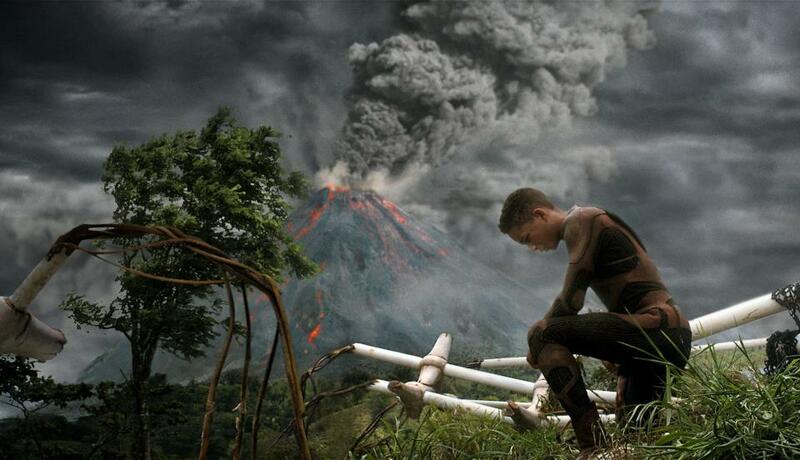 The movie After Earth will hit tehaters on June 7, 2013. 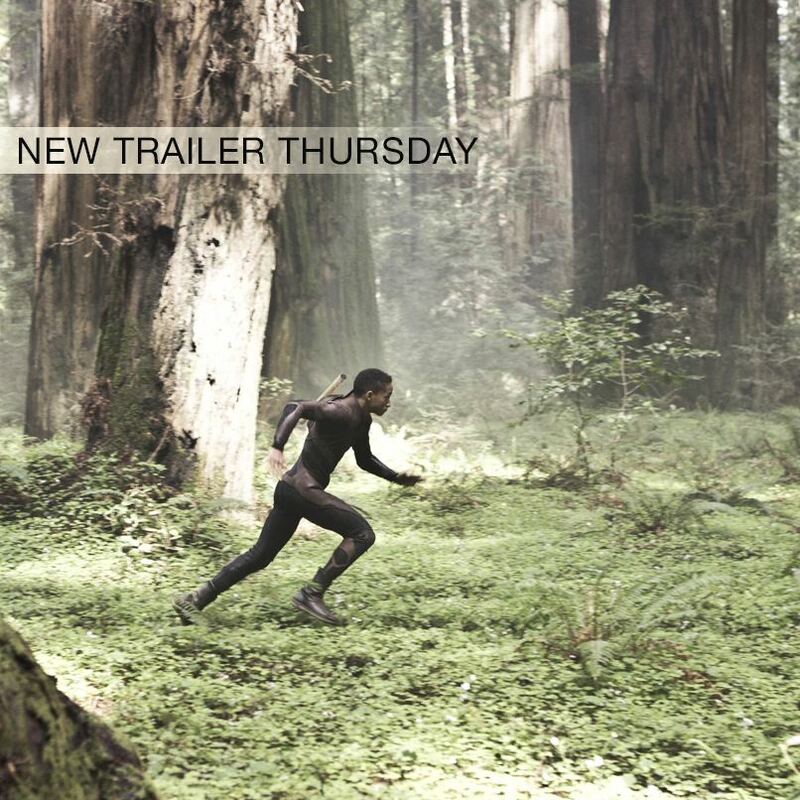 I didn’t expect this trailer of After Earth to look that good. God, I’m now damn impatient to see the film! 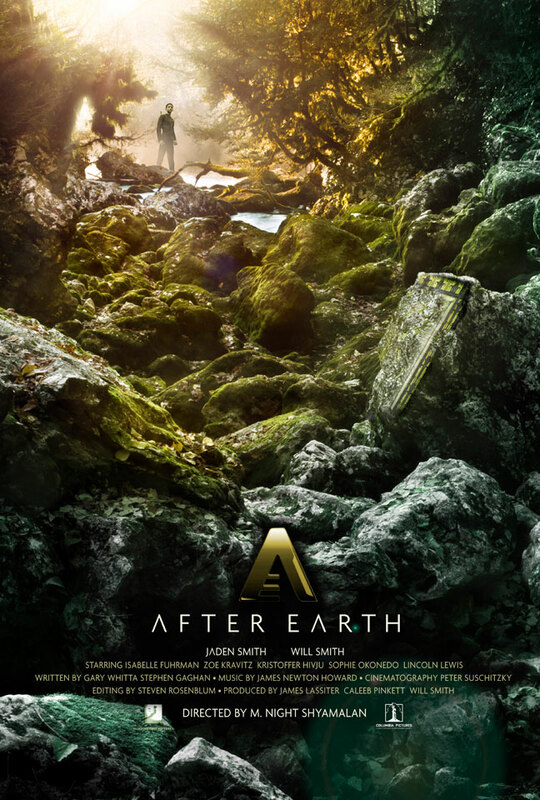 Anyway, the release date of After Earth is set for June 7, 2013. 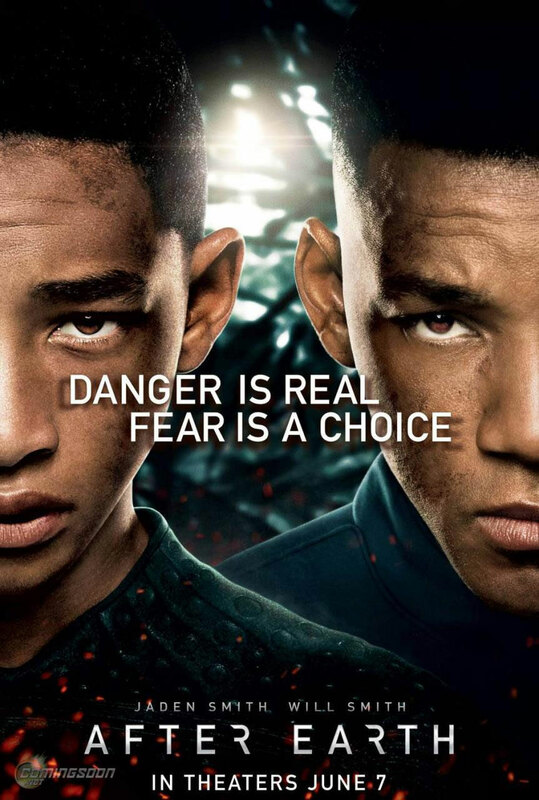 The film is is starring Jaden Smith and his daddy, Will Smith. Yet another movie that will fuel conspiracy theories! The film is directed by M. Night Shyamalan. In theaters: June 7, 2013. The film is directed by M. Night Shyamalan. 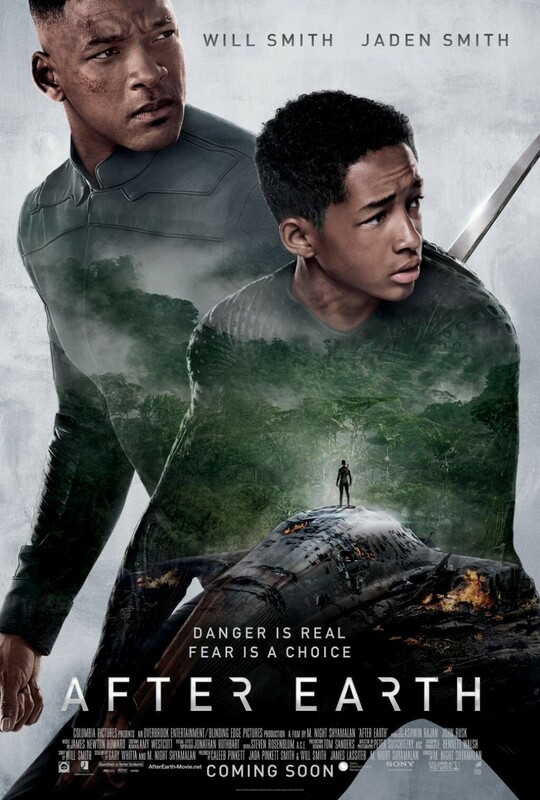 The release date of After Earth is set for June 7, 2013.